At eroFame in Hanover, with a representative exhibition stand in the typical blue corporate colours, the Hanoverian manufacturer JOYDIVISION international AG will once again be represented from 07 to 09 October. Apart from the current bestsellers such as AQUAglide, BIOglide, Soft-Tampons etc., JOYDIVISION will also have many new products on display. 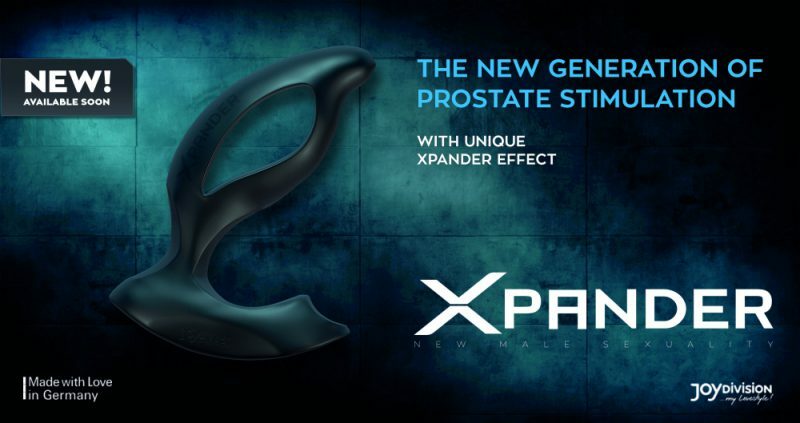 Without a doubt, with a completely new generation of prostate stimulators, the XPANDER series shares centre stage among the product novelties that, thanks to their innovative operating principle, allow sexual experiences of a very special kind. “We did not simply wish to extend the series of our successful Booster and Booster Pro prostate stimulators, but rather wanted to design a completely new kind of stimulator. With the XPANDER, we have succeeded at resolving the innovative backlog with regard to prostate stimulators and have developed an entirely new form of technology. 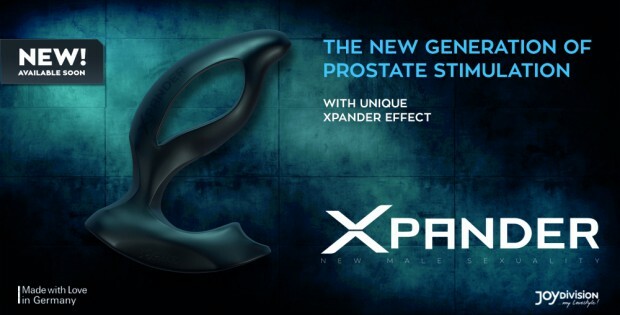 “With the XPANDER, you will be able to significantly increase your turnover in the growing segment of male toys. Look forward to the topseller that is Made in Germany,” says board member Oliver Redschlag.